Try our Natural Spinel Crystals Satisfaction Guarantee - compare our prices and our superior quality. Simply click on any natural spinel image below to enlarge it. 0.85" x 0.7" x 0.65"
This natural spinel crystal has rich purple color, vitreous luster, and it is semi-transparent to transparent with some tiny gem-grade areas. Some of the faces are in good condition with some broken areas. 1.3" x 1.25" x 1.2"
This natural purple spinel crystal has octahedral form with some twinned surfaces. It has vitreous luster, and it is semi-transparent along most edges and at the crystal tips (see a photo held near a light). Most of the faces are in good condition. See also another view. 1.75" x 1.5" x 1.2"
This specimen is a cluster of more than 20 intergrown naturally terminated spinel crystals. 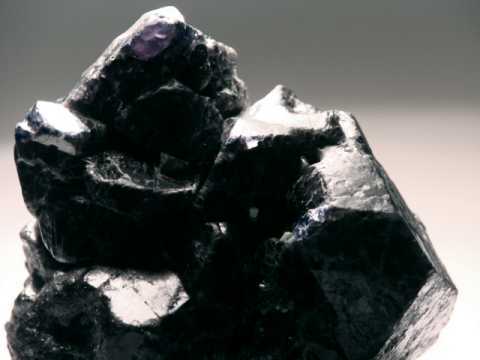 These spinel crystals have very dark gray-blue-purple color that is nearly black. They have vitreous luster, and they are semi-transparent along some edges when held to a light. 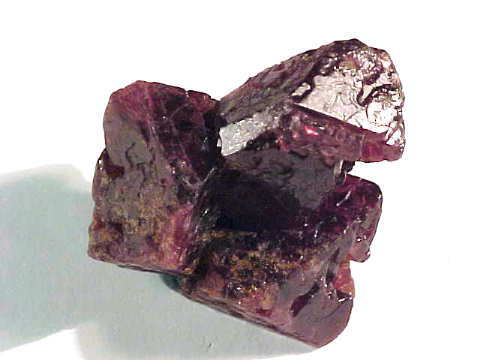 Several of these are twinned spinel crystals. Many of the spinel crystals have terminations in good condition while some are broken. See also another view. 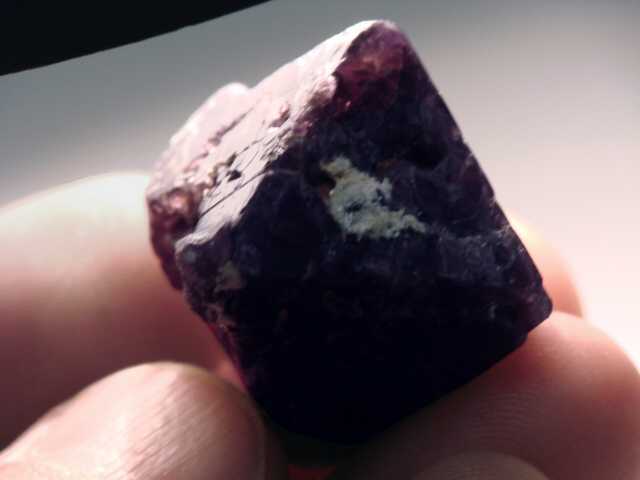 1.4" x 1.3" x 1"
This natural purple spinel crystal has octahedral form with some etched surfaces. It has vitreous luster, and it is semi-transparent to transparent along most edges and at the crystal tips with some tiny gem grade areas. There also is a small area showing twinned surfaces. Most of the faces are in good condition, with some abraded areas. See also another view. 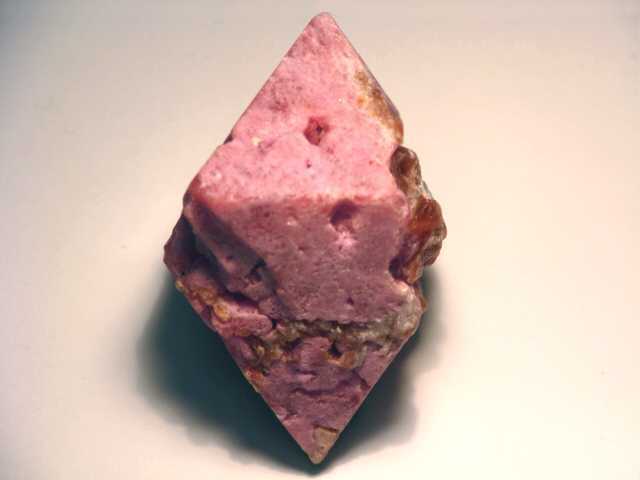 2" x 1.7" x 1.3"
This natural pink spinel crystal has octahedral form with red-pink natural color. Its surfaces are in very good condition overall with some naturally etched features and some minor abrasions. 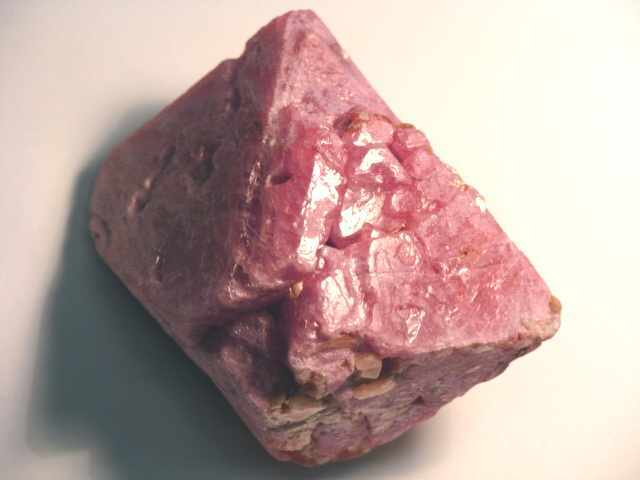 This natural pink spinel specimen is translucent with some semi-transparent areas. 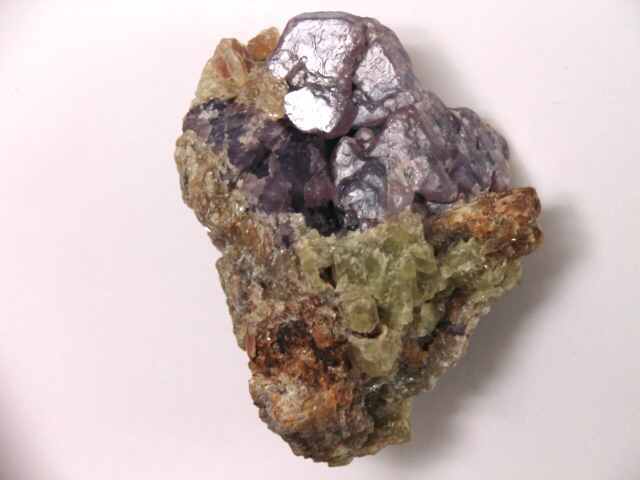 See also a view of one side with brown phlogopite mica, a different side view photo, another view, and a view under incandescent light. 2.3" x 1.9" x 1.5"
This natural spinel specimen appears to have formed as a single large twinned crystal which subsequently separated by partial dissolution along a twin plane running through the middle of the specimen into two separate spinel crystals that rotated slightly and then became secured in place by light green apatite with a small amount of light brown phlogopite mica. 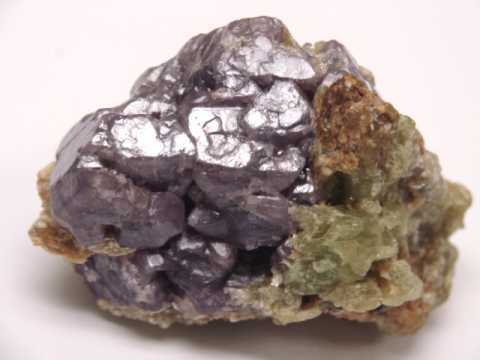 Most of the spinel is a light lavender-purple color with a couple of small areas showing pale blue-gray color. 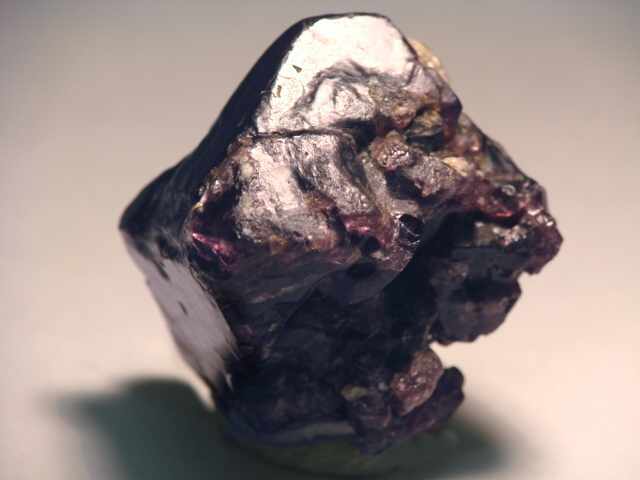 The spinel is terminated and etched on most surfaces with some broken areas. It has vitreous luster, and it is semi-transparent mostly with some tiny transparent gem grade areas. See also a side view photo, and a back view. 2.25" x 2.2" x 1.6"
This natural spinel mineral specimen is a cluster of several intergrown naturally terminated spinel crystals. These spinel crystals appear blackish and when held to a light have very dark gray-blue-purple color along some edges and at crystal tips. They have vitreous luster, and several of these are twinned spinel crystals with a large crystal showing flattened spinel law twinning. Many of the spinel crystals have terminations in good condition while some are broken. See also another view. 2.7" x 2.5" x 2"
This natural spinel crystal has octahedral form and purple color with a few small areas where the color grades into blue. There is deep orange color clinohumite exposed on three surfaces along with green apatite (possibly scapolite?) and white marble. The clinohumite is highly fractured with tiny gem grade areas. 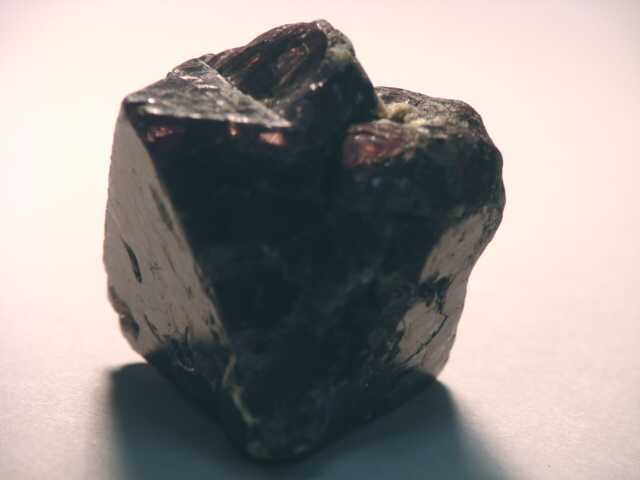 The spinel has terminations in good to very good condition on most surfaces with some broken areas. It has vitreous luster, and it is semi-transparent with some small transparent gem grade areas. See also a side view photo. 1.6" x 1.5" x 1.2"
This rare specimen of natural spinel was mined at Mogok, Burma (Myanmar) in 1999. 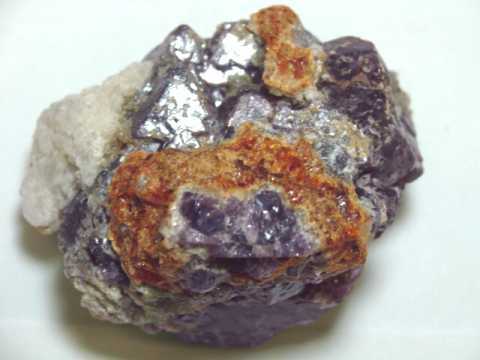 It is actually composed of three intergrown spinels with very rich reddish purple color (100% natural color). These crystals are mostly semi-transparent with small transparent areas. The terminations are in very good condition with vitreous luster. 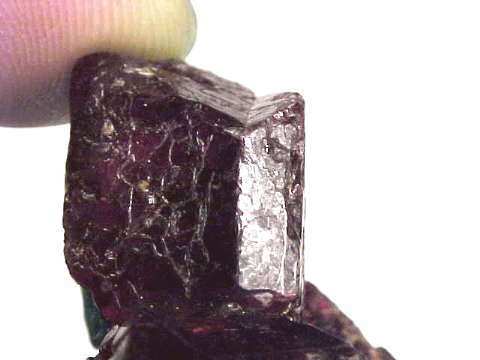 One of these spinel crystals shows twinning as well (see close-up of twin plane). See also a back-view photo of this fine quality natural Burmese spinel specimen. This is the end of our Spinel Mineral Specimens and Spinel Crystals virtual gallery page. To see more spinel photos, just select another item category from the table below. To see photos of another mineral variety, select any item category link in our Mineral Inventory & Factsheet Index. 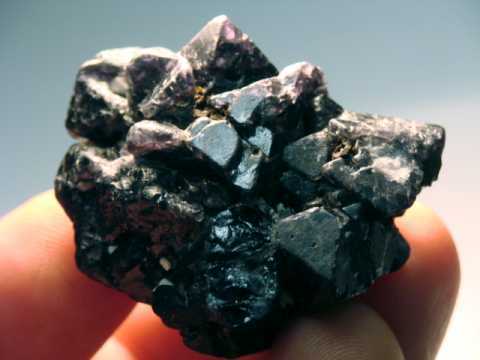 Would you like us to inform you when we add on this page more natural spinel crystals and spinel in matrix mineral specimens? 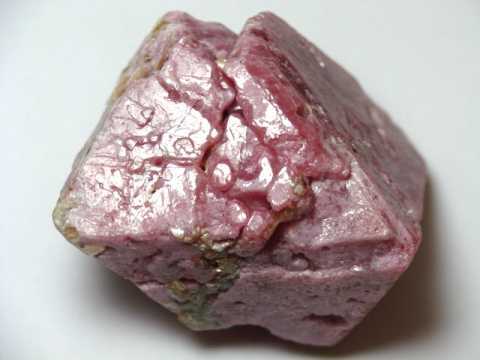 We do have additional inventory of natural red spinel crystals, purple spinel crystals, pink spinel crystals, and indigo spinel crystals as well as spinel in matrix mineral specimens in stock, so be sure to let us know if you have any natural spinel mineral specimen requests. Please contact our webmaster or our 'site' geologist with any questions or comments. 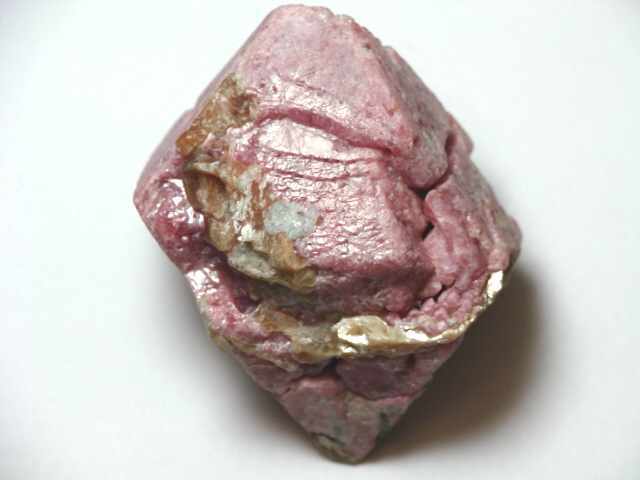 Go up to the top of this natural spinel crystals and natural spinel in matrix mineral specimens page.